Designed to help those suffering from sinus pain, the Elasto-Gel Sinus Mask fits most people. 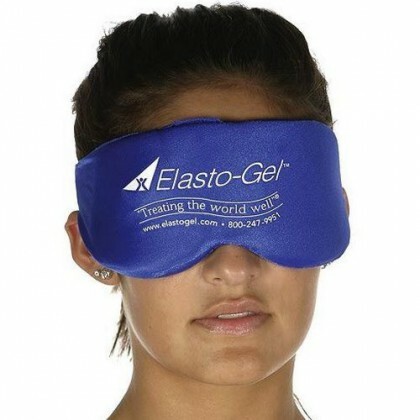 It mask can also be used as a sleeping mask whether cool or warm, to block-out light. If used for cold therapy, the mask can help with healing bruises or eye surgeries to reduce swelling and numb pain. The wrap will stay cold for 20-40 minutes, giving ample time for cold therapy. Heat therapy can aid in relieving sinus pressure, decreasing congestion and alleviating headaches by increasing circulation and relaxing muscles. Recommended for individuals who suffer from throbbing headaches in the sinus-region such as behind the eyes or forehead area.